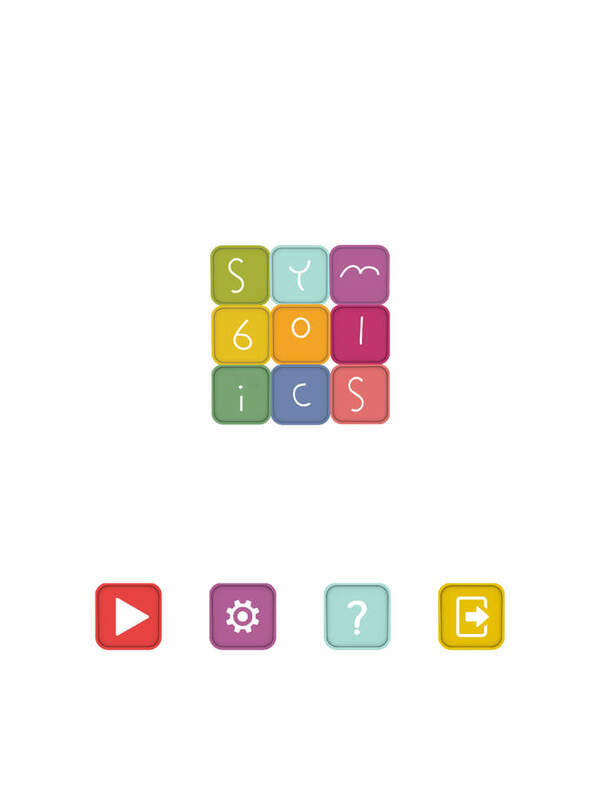 Symbolics is a simple puzzle game challenging your mind with colors and symbols. 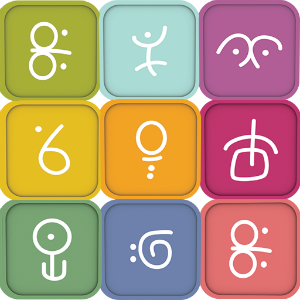 Place the symbols, fill the tiles, there will be new colors and symbols waiting for you. How to Play? -The goal is placing at least one symbol to all tiles on the board. -Place the symbols next to each other sharing the same color or symbol. -Symbols can be placed next to non-empty tiles. -When you complete a row or column symbols disappear in that row or column. You can continue placing tiles on the completed rows or columns. 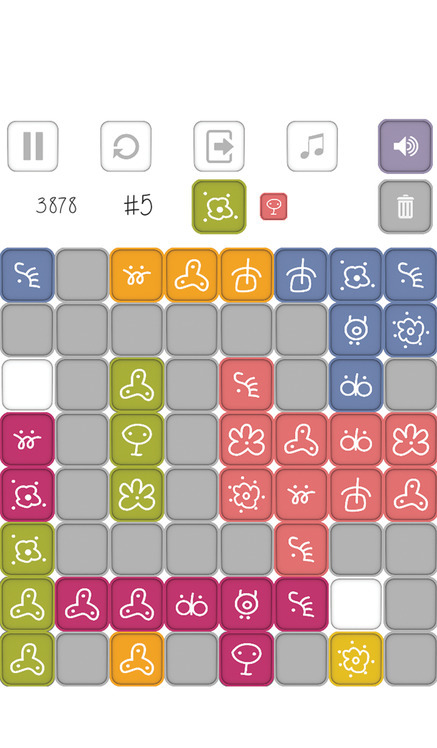 -If you can not place a tile, you can use the trash can to skip the symbol, you can only skip 3 symbols in a row. -You can place the "joker" symbol in any tile available. 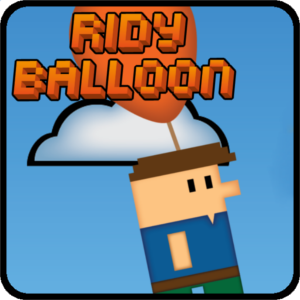 Features -3 difficulty levels -12 colors, 22 symbols -Compatible with tablets and phones -No limitations with this free version. Have fun. Attention! You can see the symbols in your dreams.